We didn't see her hidden blade this time around. 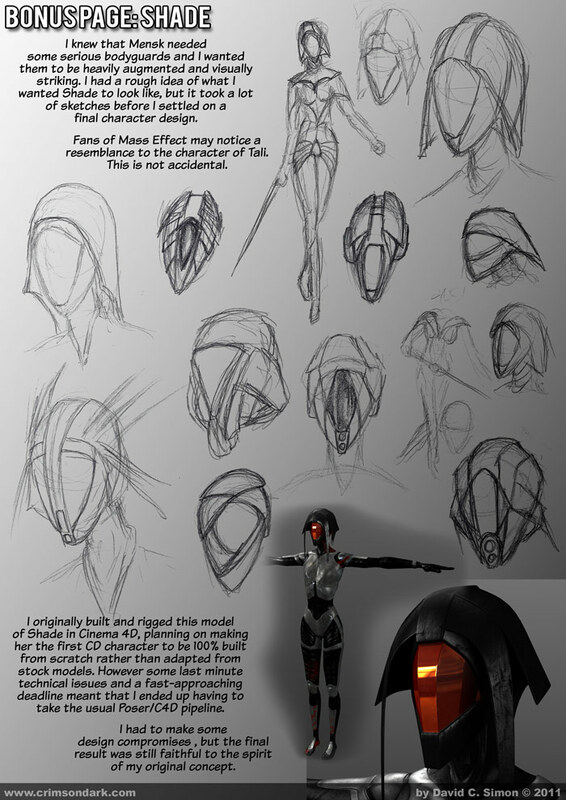 I decided that my brief for designing Shade would be "A cross between Tali'Zorah nar Rayya and Boba Fett". The "technical issues" referred to in today's bonus page were related to problems with scaling rigged characters. I have since solved the problem. My current plan is to upload a final Bonus page this Friday and the title page of Chapter 12 next Monday (the 4th of April) and carry on from there, however work is a world of crazy at the moment so that may need to change. I'll let you know.